Annotation is critical to AI development and operation. Analysis and improvement of annotation process by machine learning. Annotations are processes located upstream of pipeline. Therefore, if there are many errors in the annotation, it may have a fatal effect on subsequent processes, including model learning and evaluation(in many cases, evaluation data is also generated by the annotation). 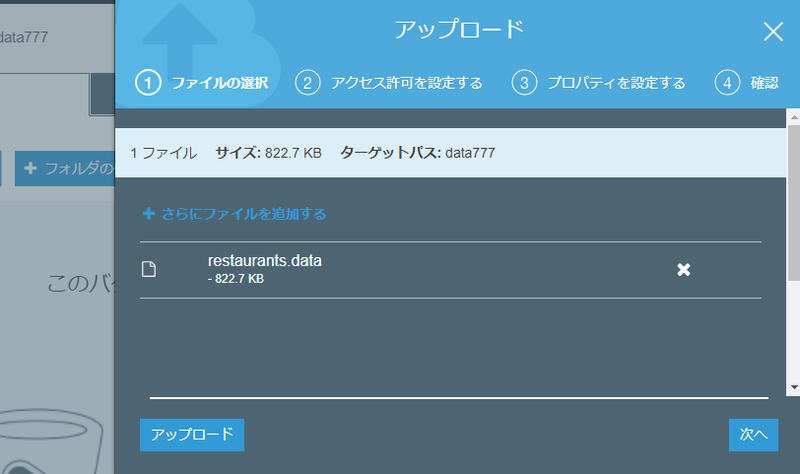 To unify the content to be read from the data. In the upstream process of the AI pipeline, it has a fatal impact on the leader processes such as model learning and evaluation. 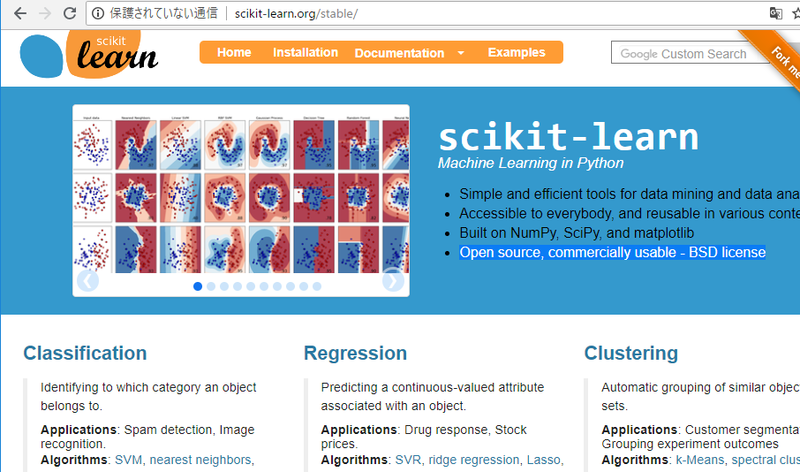 Deep learning is a further development of machine learning. The major difference from conventional machine learning is that the framework used to analyze information and data is different. This is a “neural network” created by imitating human nerves, making computer analysis and learning of data powerful. 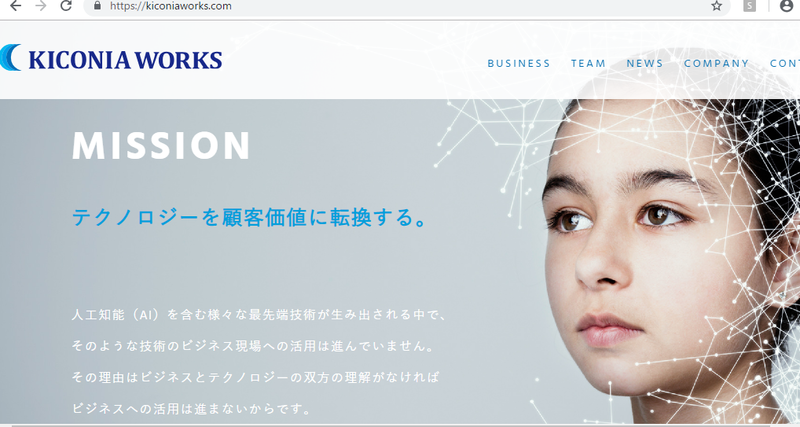 Although there are AI mechanisms for “machine learning” and “deep learning”, it can be said that there is a difference that automation of functional enhancement is being promoted. In particular, it can be said that the system is evolving in that it automatically finds out where to look for when distinguishing the object of analysis. 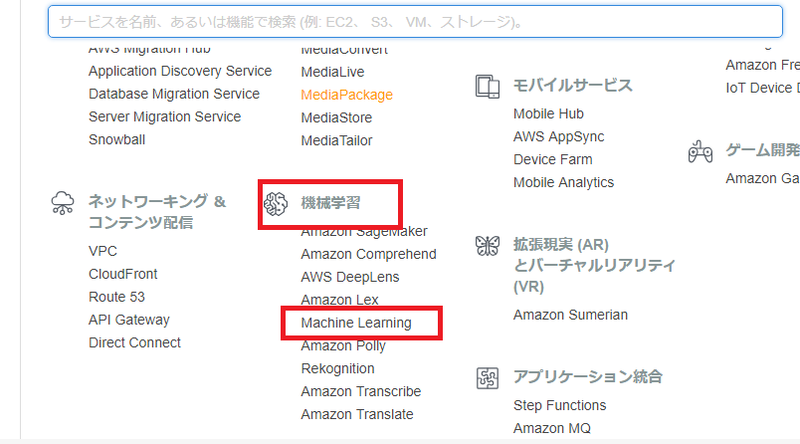 amazon ML can be used to make predictions for a variety of purposes. For example, you could build a model in Amazon ML that will predict whether a given customer is likely to respond to a marketing offer. 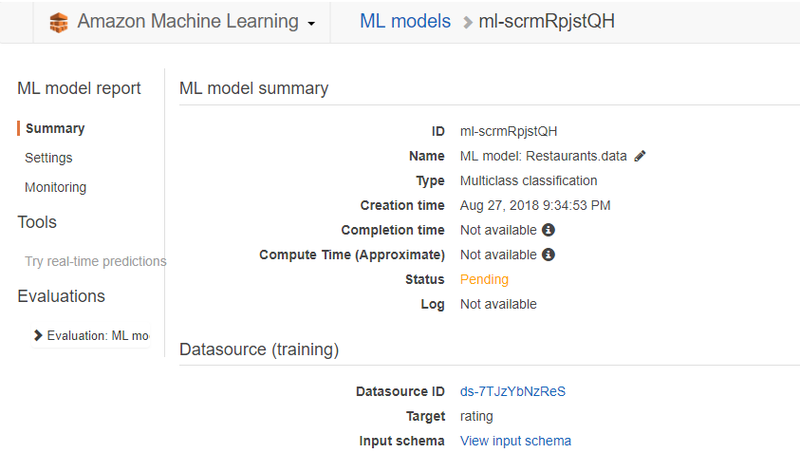 Amazon ML creates models from supervised data sets. This means that the model is based on a set of previous observations. This set of observations consists of features or attributes as well as the target outcome. In the marketing offer example, the features might include the age, profession, and gender of the customer. The target outcome (also called the target variable) would be whether that particular customer responded to the marketing offer or not. The process of creating a model from a set of known observations is called training. 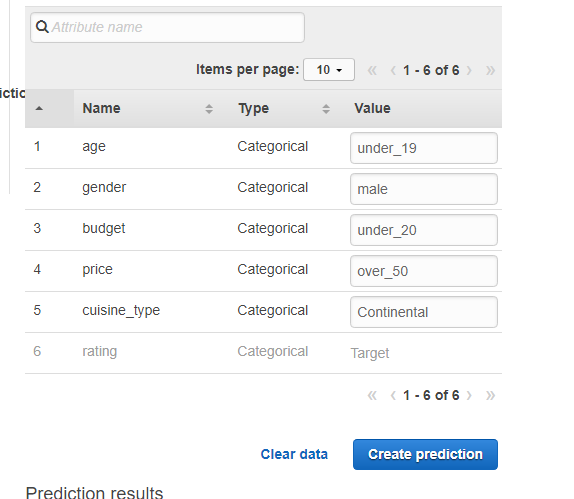 Once you have trained a model in Amazon ML, you can then use the model to predict outcomes from a set of attributes that matches the attributes used to train the model. 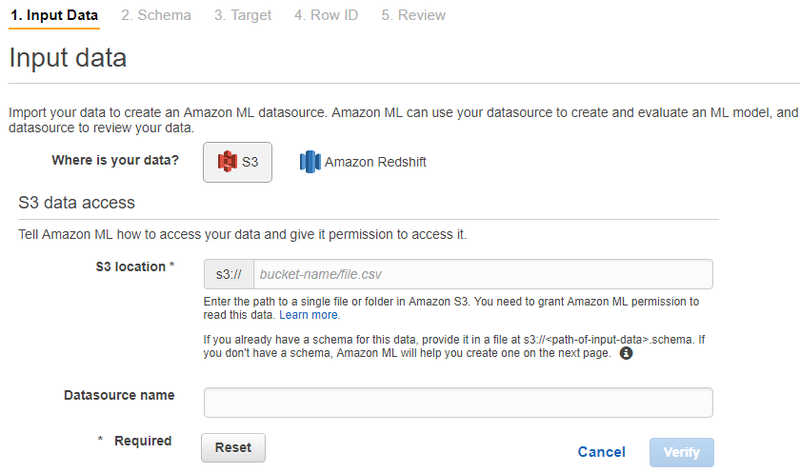 Amazon ML scales so that you can make thousands of predictions concurrently. This is important, as today machine learning is often used to provide predictions in near real-time. 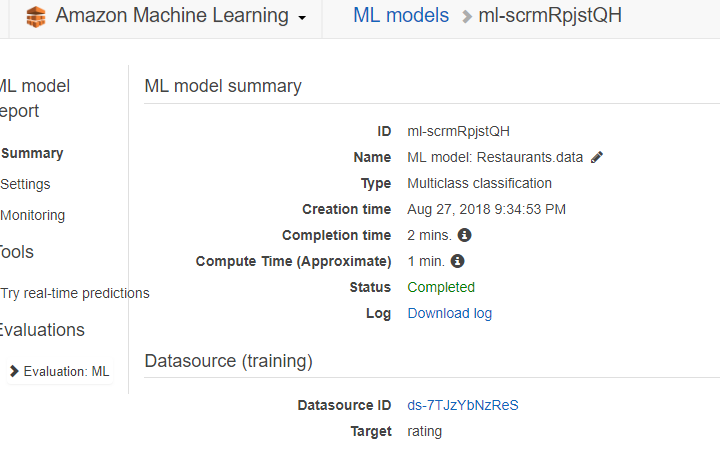 In this lab, you will be using a machine learning model to predict which restaurants a customer is likely to favor based on the results of a search query.